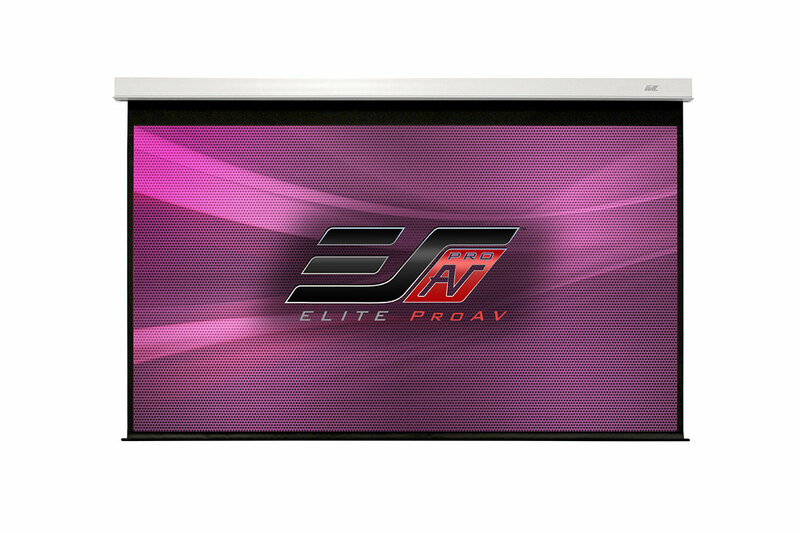 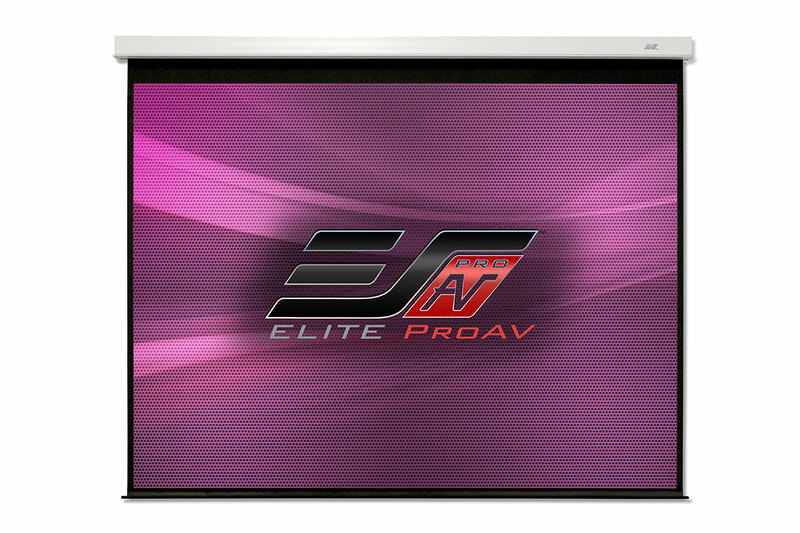 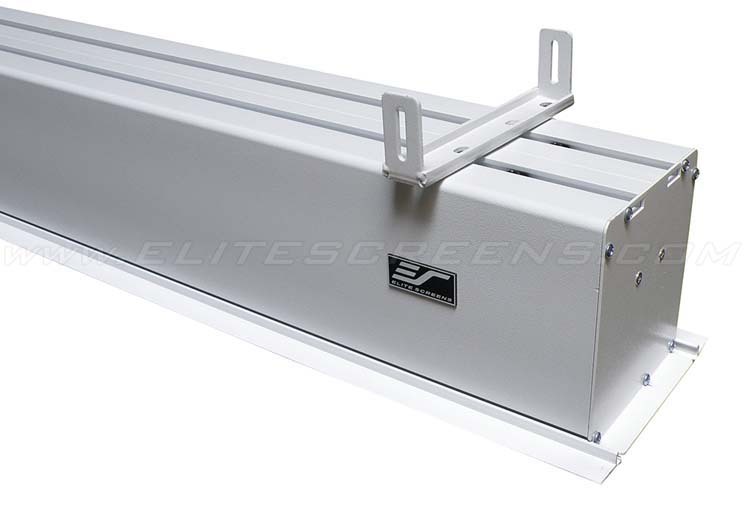 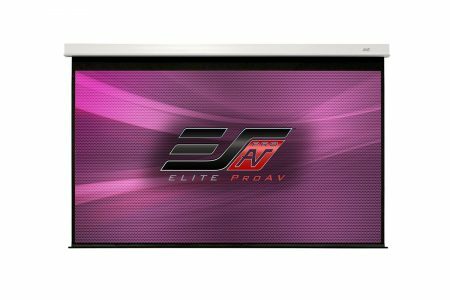 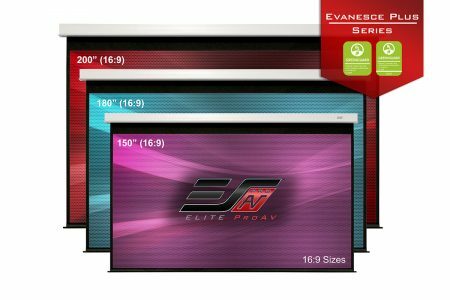 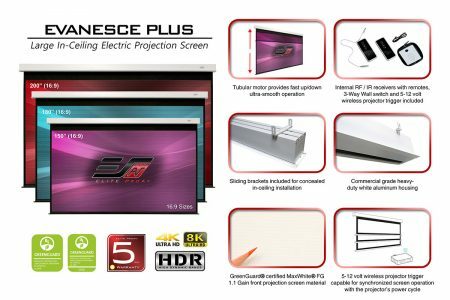 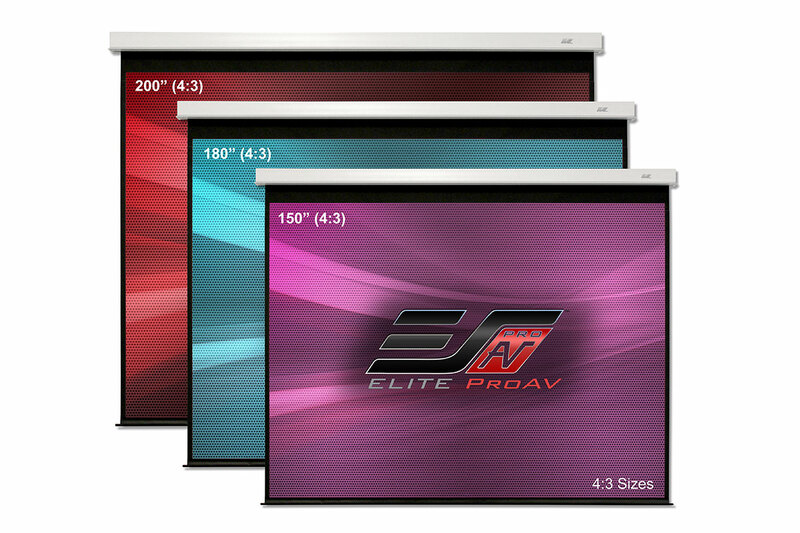 Evanesce Plus Series - EliteProAV - Providing an array of dedicated commercial grade projector screens to professional integrators. 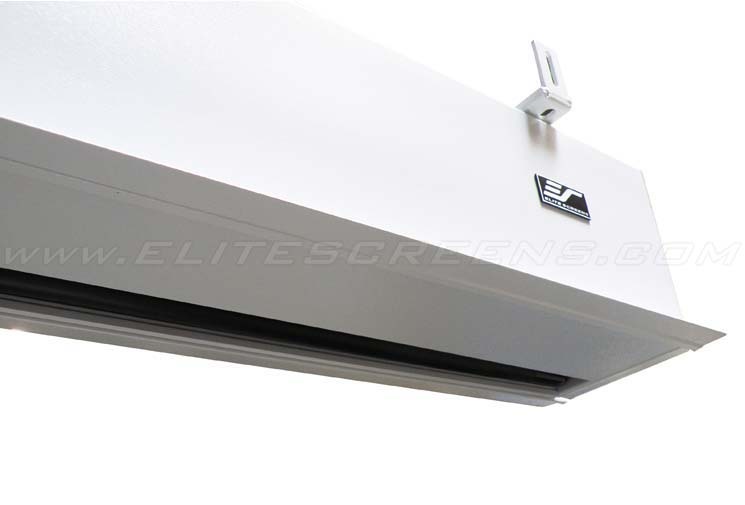 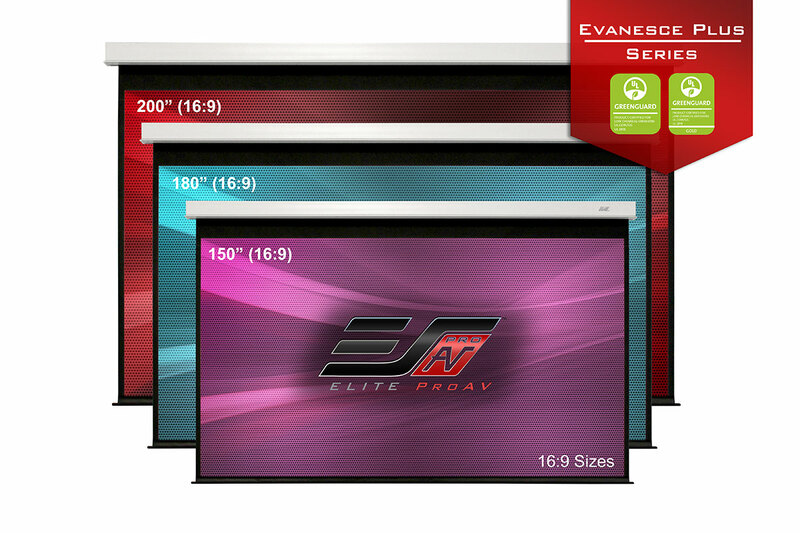 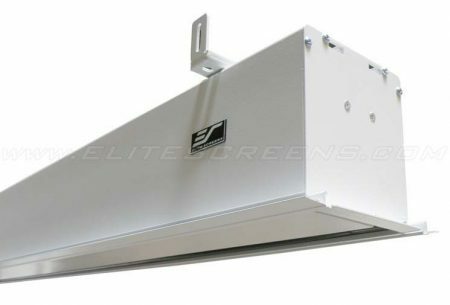 The Evanesce Plus is an in-ceiling recessed electric projection screen suitable for large rooms. This large-sized yet concealed screens are ideal for medium to large size auditoriums, gymnasiums, banquet/reception rooms, and any other commercial environments. The Evanesce Plus includes Infrared and Radio Frequency remote controls, a manual wall switch keypad, and our GREENGUARD® Gold Certified MaxWhite® FG front projection material.